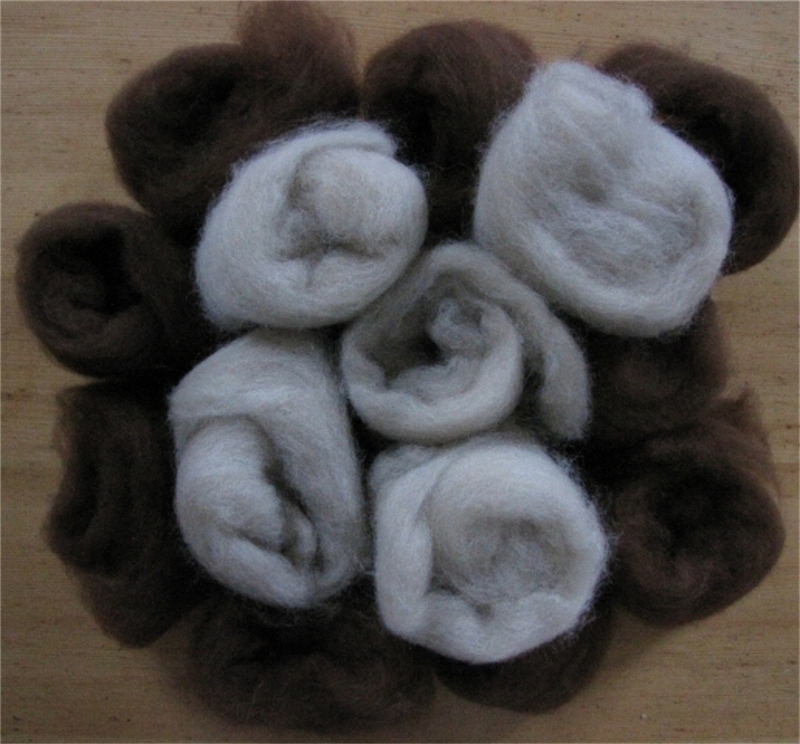 This second week I did spin, but not that much, only one full bobbin. I tried to make an evenly, thicker thread. To make it more easy the tops were divided in 8 thinner lengths.That went well. I will do some Navajo plying and some knitting and ……keep my fingers crossed. In the meantime I went on blending Ryeland fleece / cria alpaca / kid mohair / angora. The total weight is +/- 40 grams. The yarn on the bobbin and the yarn at the top ‘left’ were already spun. 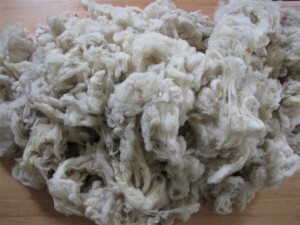 I plyed with mercerized cotton. While spinning, I will be busy with carding my Ryeland fleece too….. 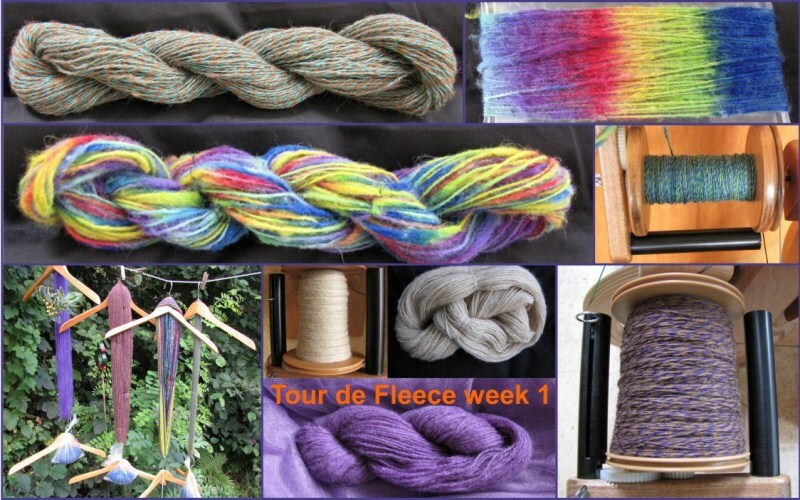 I joined the Tour de Fleece spin-along on Ravelry today….27 june. 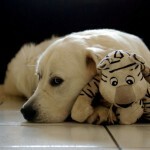 When the real ‘Tour the France’ starts, we are solidary……. 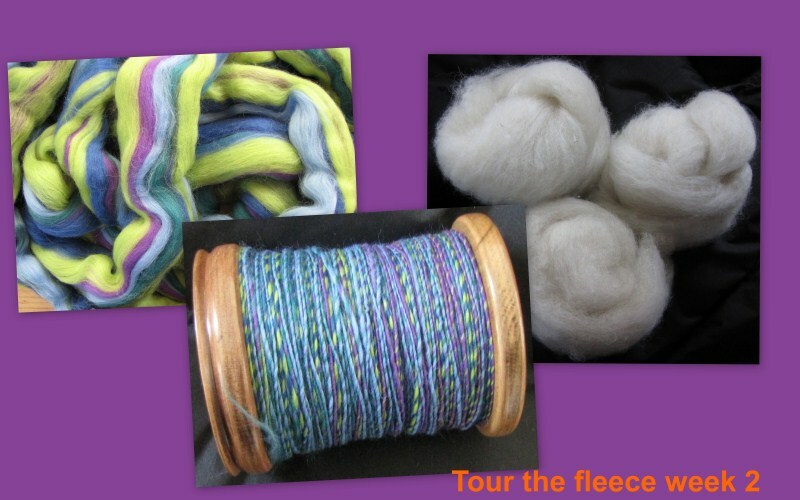 First I will go on spinning my blend of alpaca / hampshire down. 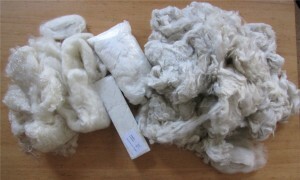 The hampshire down is ‘sun’ dyed with crushed, green walnuts.